Some retail businesses overlook candles as a real money maker. Candles are an amazingly versatile product that will fit the needs of a wide range of customers. Old or young, people never seem to steer far away from candles. Even in the hottest of summers, or the coldest of winters, people continue to buy candles. Candles make up a 2 billion dollar industry in the United States, so it’s no wonder that businesses love to stock candles on their shelves. Here’s 3 benefits to wholesaling candles and selling them in your store! If it’s one thing candles are good at, it’s making quick and easy gifts for loved ones. Candles are such a gentle and warm product that go well with almost any situation, so it’s such an obvious choice for shoppers. Think about this situation: A man gets in a small argument with his girlfriend. Later that day he’s walking through the store picking out groceries when he spots a shelf full of beautiful candles. Chances are, he’s going to get the bright idea of buying a candle for his girlfriend to cheer her up and show his love! Or how about this situation: A woman is headed to a birthday dinner when she realizes that she forgot to bring a gift. She swings by a boutique store, and right as she walks in she sees candles poised on a shelf. She picks up two or three, and in a matter of seconds she has a perfect gift that the birthday boy or girl will adore. 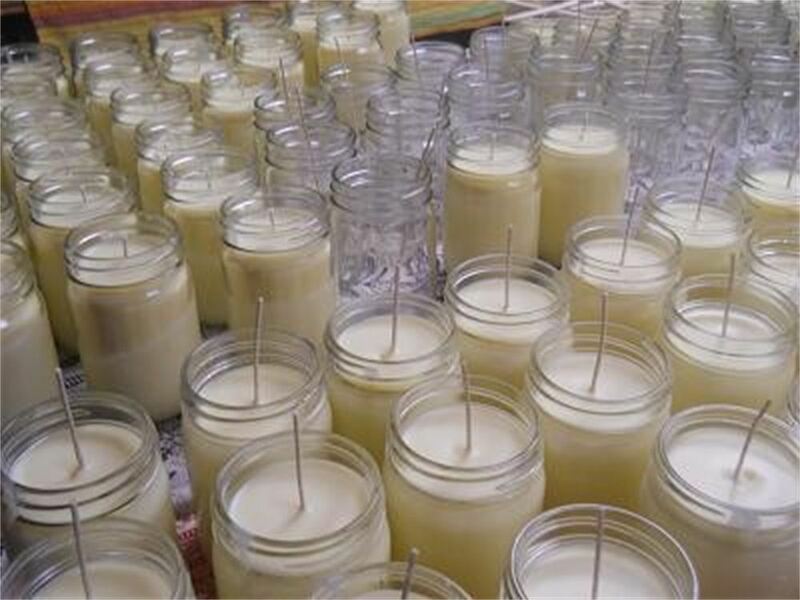 When you wholesale candles for your retail store, you’re investing in an almost guaranteed high profit margin that will keep steady year after year. Traditionally, candles have always been a constant sale item. Regardless of the season, which holiday is near, young shoppers or old shoppers; people will buy candles. They are such a big part of home decor and the gift market that they’re unlikely to ever go out of style. Candles provide a homey comfort which is priceless in the minds of the customer, which means more business for you. Regardless of what kind of business you run, buying candles at wholesale and stocking a shelf in your store will do nothing but boost your profits. In addition, the National Candle Association states that the majority of candle consumers will use their candle within one week of purchase. That means after they’re done with that one, they’ll be back for another! Not only are they easy to sell, but they’re easy to buy! Especially popular right now are soy wax candles, because they appeal to the environmentally conscious and fans of contemporary decor. Soy wax candles can be bought at wholesale from some amazing companies. Not only will you have a product that sells, but it will be a trendy product like soy wax candles that is easy and low cost to buy wholesale. Watch them fly off the shelves! Whether it’s a boutique store or a furniture store that you own, or anything in between, candles are an amazing addition to your inventory. Just like a pack of gum, people will toss a candle in their shopping basket so casually and with ease. Help your bottom line by investing in a dependable product that will continue to provide profits year after year! Look into buying Mason jar candles wholesale today! This entry was posted in Mason Jar Candles and tagged candles wholesale, wholesale candles. Bookmark the permalink.